The history of humanity has only just begun. The Neolithic Revolution may have endowed us with unparalleled means of communication, subsistence, and knowledge acquisition. However, it is clear in today’s world that inequality, power hierarchies, and violence persist on a greater scale than ever before. In these two lectures, delivered to the large number of young people who gathered in the Lycée Henri-IV and the École nationale des Beaux-Arts in Paris to hear him speak, Alain Badiou argues that we are still firmly rooted in the Neolithic era, subjugated by the structures of political power – property, family, and state. He calls for a second revolution to restore to each person their freedom and agency. 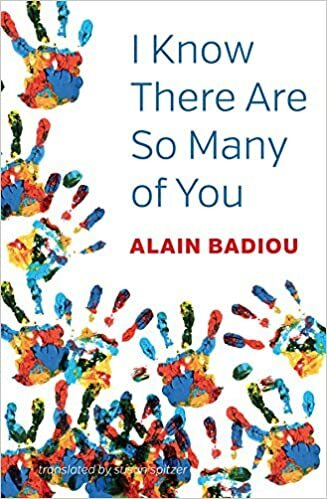 Through an analysis of recent attempts at political organisation, including the Arab Spring, Occupy, and Nuit debout, Badiou shows that progress toward this goal will only be achieved through an emphasis on sameness, not difference. This rallying cry to the young from one of France’s most renowned radical thinkers will appeal to the many who read and follow his work, and to the millions of young people around the world who are passionate about redressing the deeply entrenched inequalities and divisions in our societies today.